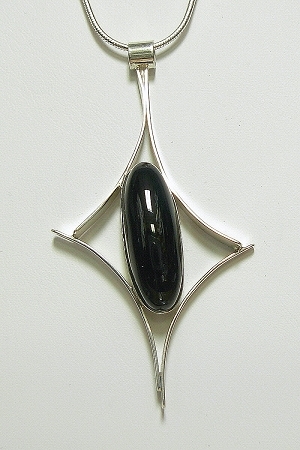 A beautiful oval natural black onyx cabochon is framed by high polished Sterling silver. The necklace comes with an 18'' sterling silver snake chain. 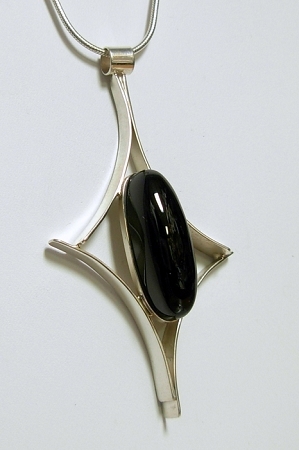 Other lengths and other stones are available.